Most engagement rings have a single gem for its center stone, usually a diamond, but really now, why have just one when you can have three? And why not think of out the box and get them in emeralds instead of diamonds? 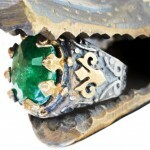 The 3-stone emerald diamond ring is perhaps one of the most unique pieces of jewelry a man can give a woman as an engagement or wedding ring. The 3-stone ring, also known as the past, present, and future ring, symbolizes the yesterday, today, and forever of a couple’s life journey together. The three stones represent these time periods and, as a single ring, is one of the most beautiful ways with which to commemorate, cherish, and affirm a couple’s relationship or marriage. 3 stone engagement rings may not be common but they will always be distinctive. Although 3 stone rings are popularly given as an anniversary gift, they are also given as an engagement ring. 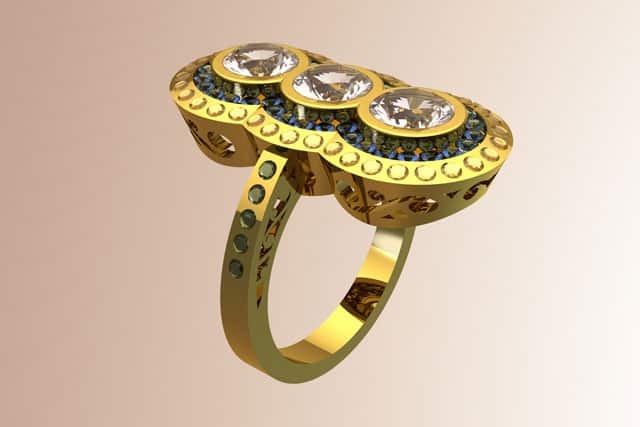 This kind of ring can have differently shaped gemstones. The round cut is usually reserved for a diamond as a center stone but this does not mean other gemstones or other cuts cannot be used. 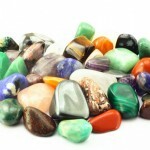 Three stone settings, in fact, enhance the contrasting colors of different gemstones. Clear diamonds that flank an emerald make the latter sparkle with more intensity and make for a perfect combination in an engagement ring. The 3-stone ring can be given not only for an engagement but for an anniversary, birthday, and other occasions such as Valentine’s, Mother’s Day or Christmas. It is really like saying “I love you” in three distinctive ways. If you want a one-of-a-kind engagement ring, a 3-stone ring is a less expensive but still stunning option. You can also be as creative as you want with this kind of ring. From a round cut gemstone surrounded by several half-moons to a trio of stately oval cuts all in a row, you can just let your natural artistry take over and choose the kind of 3-stone ring you really want to have with your own design and style. 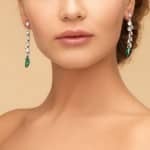 You can have a channel or pave setting with a three different kinds of stones: an emerald for the center gem flanked with two other gemstones of different or the same colors. The resultant look may be avant-garde for the traditionalists but it will never be boring, common or unimaginative. 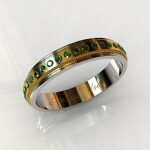 Moreover, a 3-stone wedding ring is for the bride who wants to have a wedding band without a huge center gemstone. Why an Emerald for the Center of a 3-Stone Engagement Ring? Stand out from the sea of solitaire diamond engagement rings or, better yet, make a statement amidst the ubiquity that 3 stone diamond rings have become. Don’t limit yourself to three stones that are all diamonds. 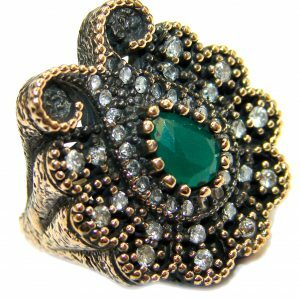 Have an emerald center stone and sapphires for the side stones, for instance, and watch people get awed by that bold combination. Why choose an emerald for your center stone? In 2013, engagement rings with emerald as center stones were a smash hit. Worn in winter, an emerald engagement ring reminds everybody of spring. 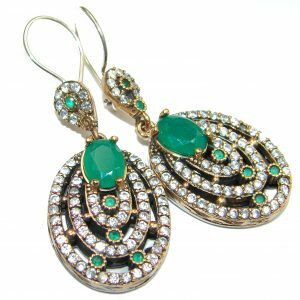 “Emerald green,” declared the color of the year 2013 by color authority Pantone, has always been one of the popular favorite baubles of celebrities who walk the red carpet. Prosperity, harmony, growth, and balance are all attributes associated with emeralds. Given that, it isn’t surprising that emeralds are trending as center stones for engagement rings. Actresses Halley Berry and Olivia Wilde both have emerald engagement rings. Emerald was also the choice of then junior Senator from Massachusetts John F. Kennedy for the Van Cleef & Arpels engagement ring with which he proposed to New York City socialite Jacqueline Bouvier. The size of the emerald depends on the size of the woman’s hand. 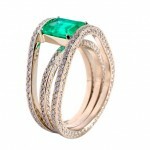 Women with slender, long hands are able to wear larger emeralds than those with shorter, smaller hands. Just how green the emerald is will be determined by the gemstone’s hue, saturation, and tone. 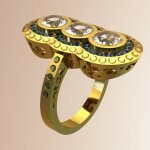 An expert jeweler can give you pertinent details on those factors to enable you to make an informed purchase decision. 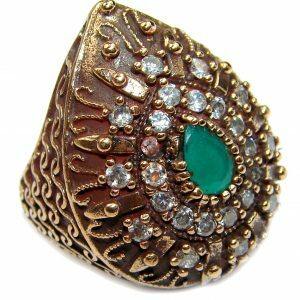 A 3-stone ring with an emerald as the center stone can have two other stones of the same color flanking it or two other stones of different colors. 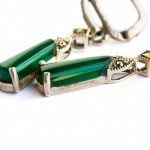 Just make sure the side stones do not overpower the emerald’s brilliance. Always bear in mind that while an engagement ring symbolizes your commitment to a life together, it shouldn’t mean you have to get emeralds from Colombia – which are the best kind but also the most expensive – that can put you in debt. 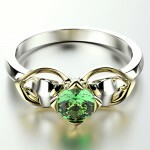 Choose designs that would be most suitable for a 3-stone emerald setting to include color compatibility. If you don’t have any idea what this means, take a cue from Halle Berry’s unique emerald engagement ring. 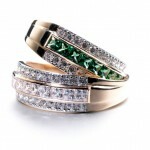 Consider having all three stones in emeralds. This should challenge your creativity if you design the engagement ring yourself. If you choose to have it custom-made, ensure that the jeweler offers you several designs to choose from. Do remember that having three stones means increasing their number which could mean a considerable increase in how much the engagement ring will cost, especially if the other two are diamonds. The good news, however, is that a 3-stone ring would still be less expensive than having a much larger gemstone at the center. 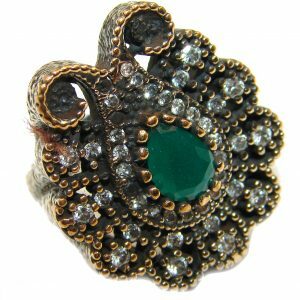 A 3-stone emerald ring can have halos on each of the gemstones with smaller diamonds. These diamonds will have to be set at different angles from one another to catch as well as reflect light from various angles and create constant sparkle when your hand moves. 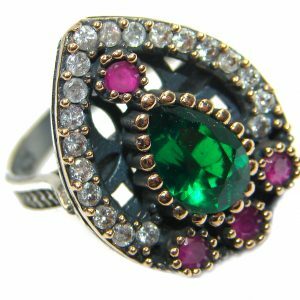 The best metal for the band itself would be white gold or platinum to bring out the classic deep color of the green gemstone in a 3-stone emerald diamond ring since yellow or rose gold has the tendency to overshadow the emerald itself.